Working closely with the founder and chief executive officer you will ensure operational excellence through all the corporate functions including finance, business analysis, HR, risk management including work health and safety, quality, compliance, IT/business systems, and business planning. Specifically you will operationalise the new strategic plan, maintain the current framework ensuring performance measures are robust, aligned and driving business growth. You will project manage a transformational IT systems upgrade across all organisational streams and drive a budget review, analyse workflows and review the risk framework. You will form part of the finance audit and risk committee and prepare monthly board reports and attend board meetings. You are currently operating at a senior level in a similar operational role in a complex organisation supervising sustainable financial practices and models, you have been integral in supporting organisational growth and managing a wide range of projects and internal functions across core business operations. Via your already successful career in the not for profit sector, leading charities or like-minded corporates you’re able to demonstrate a deep understanding of an organisational culture required to successfully deliver program outcomes whilst driving business success. You are a confident leader and stakeholder manager with conflict resolution skills and possess a genuine interest in employee wellbeing and development promoting a positive and ethical working environment. You have shown high levels of relationship building skills and can communicate comfortably with a diverse demographic. Outline where the ideal candidate is currently working and then more broadly describe other experience they may have; this is typically a couple of sentences followed by bullet points highlighting essential skills/experience. The Asylum Seeker Resource Centre (ASRC) is both a place and a movement. An independent not-for-profit organisation, whose programs support and empower people seeking asylum. As a movement, they mobilise and unite communities to create lasting social and policy change. 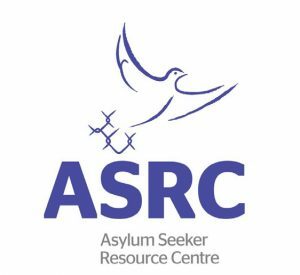 Today, ASRC are the largest independent human rights organisation for refugees and people seeking asylum, delivering more services on the ground than any other independent asylum seeker organisation in the country. Offering more than 40 holistic programs that protect people seeking asylum from persecution and destitution, support well-being and dignity, and empower people to advance their own future. Programs include a weekly food and groceries service, healthcare, legal aid and employment support and the operation of a new social enterprise arm. Please quote in application: General Manager Operations via Pro Bono Australia.